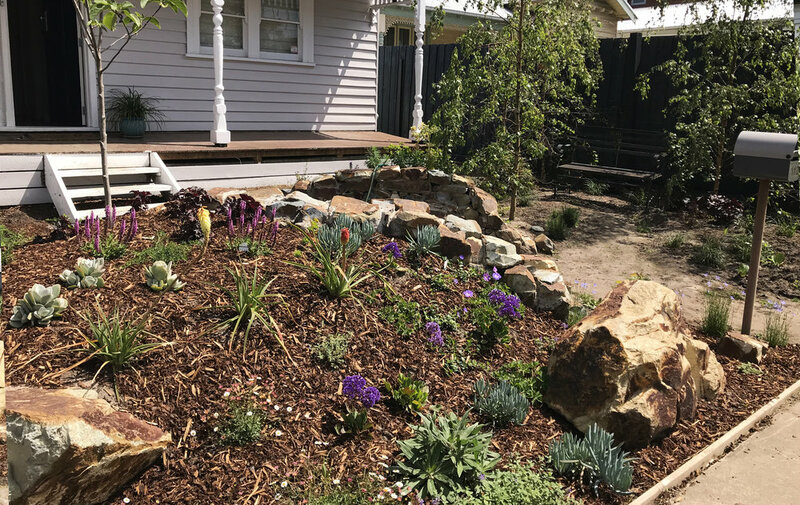 We were presented with a beautiful and newly renovated home in Yarraville, and wanted to create a modern and free flowing front garden to match. We introduced large rocks as an informal fence, and designed a sizeable mound in the centre of the garden, with a pathway that cut through the middle and a beautiful stack stone wall to retain the soil. This became the new entry path to the house. The design also features a seating area with a copes of silver birches, and a low level mass planted understory which uses many colours, forms and textures.